I hope you guys don’t mind my taking a quick detour today to Vietnam. 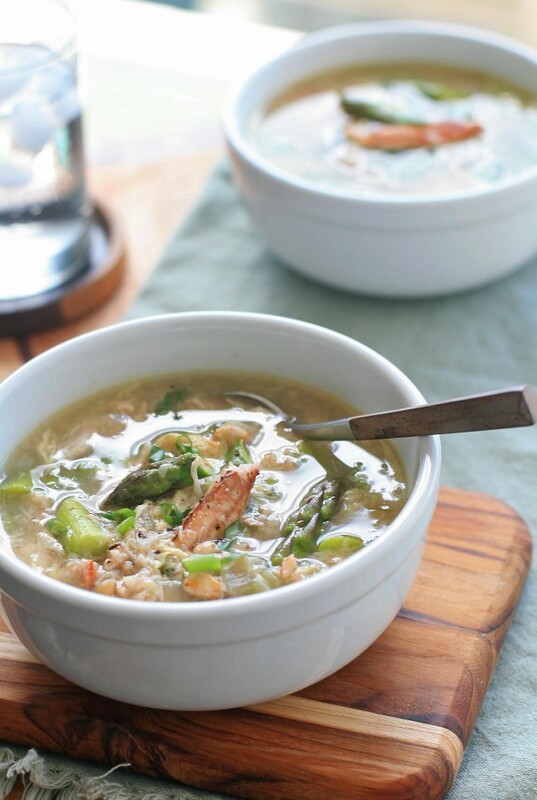 I never got around to making this crab and asparagus soup during my Vietnamese phase last summer, but put it on my must-make list for when asparagus returned to the markets. This recipe definitely veers away from the hot, sour, salty and sweet cuisine that Vietnam is known for. 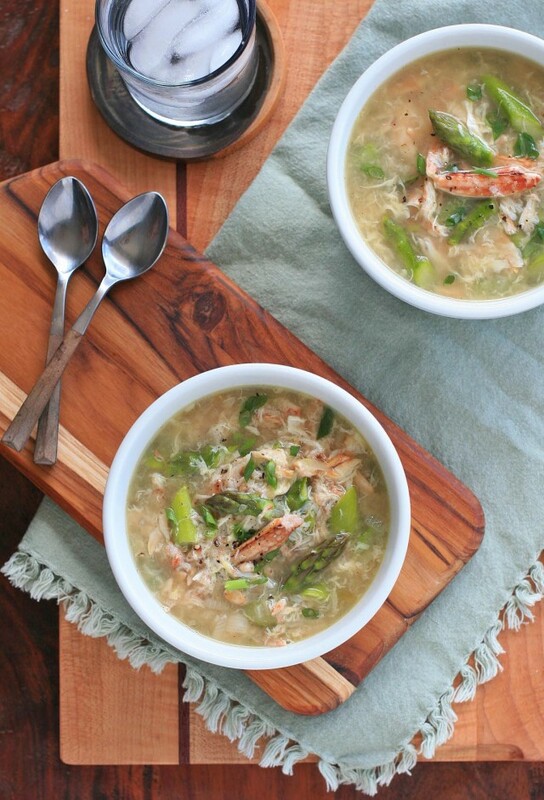 It’s a French colonial recipe reminiscent of a Chinese-style egg drop soup that’s bulked up with fresh asparagus and chunks of tender crab. Good stuff right? It’s been waiting in the wings (i.e. my Drafts folder) until the right time. I made and photographed some Burmese food this past weekend, but I’ve been up to my eyeballs with taxes and reading travel guidebooks over the past couple days , so I haven’t been able to do any photo editing or recipe writing. I had been leisurely planning a trip to South America this fall until I found out that tickets to New Zealand are sub $700. Unreal, right? Trim the base of each stalk, or snap each stalk where it naturally breaks, and discard the bottoms. Diagonally cut the spears into approximately 1-inch pieces. Heat the oil in a medium saucepan over medium-high heat. Add the shallots, garlic, salt and pepper and cook, stirring frequently, until the shallots and garlic begin to soften. Add the asparagus spears and continue to cook, stirring occasionally, for another two minutes. Add the broth and bring the mixture to a boil. In a small bowl, combine the cornstarch and water to make a slurry. Add it to the soup and then add the fish sauce. While briskly stirring, drizzle in the egg. It should create petals and shreds in the swirling broth. Add the crabmeat and stir. Continue to cook for another minute or two, until the crab is heated through. 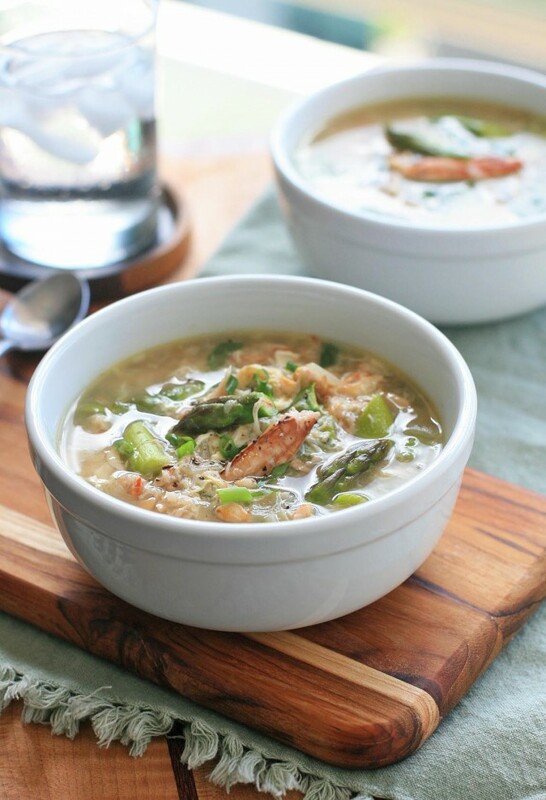 Ladle into individual bowls and garnish with green onions.